Mariner Point Park my have the best fed squirrels anywhere. 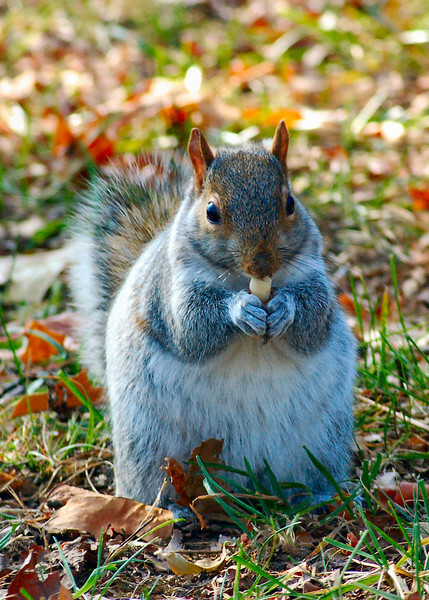 Most people either walk feeding the squirrels or walk their dogs who want to chase the squirrels. OMG so cute! I can never get this close. Very cute pose. I love the scattering of colored leaves surrounding him too. Love it...what a cutie!! Fantastic capture. He is definatly ready for winter... And maybe even next years. LOL he is so chubby and cute! Sooo cute! Nice shape of her body, looks so warm. Pretty shot!